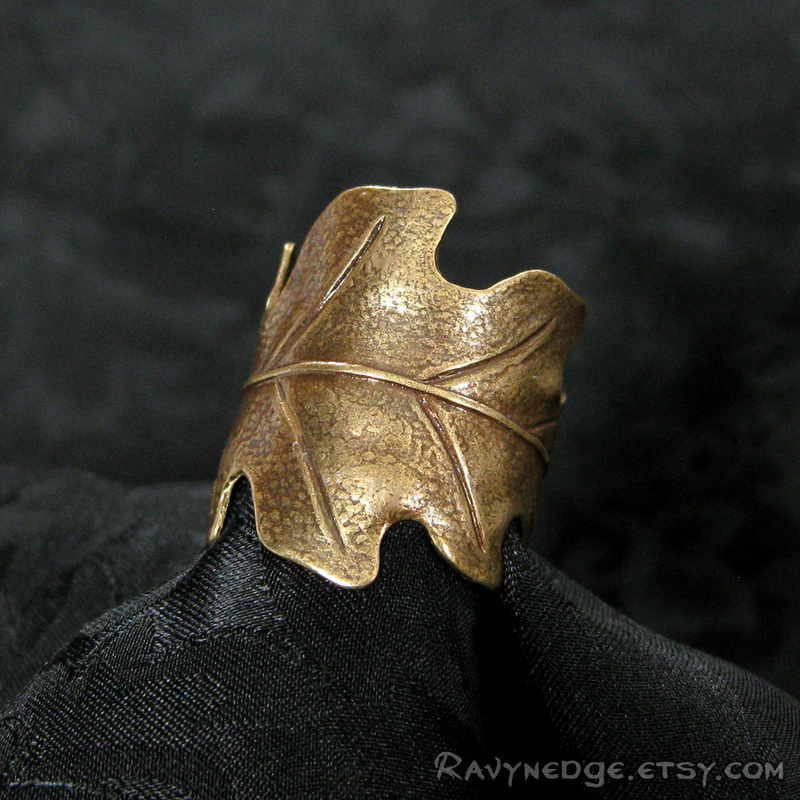 Druid's Treasure Ring - Oak Leaf Adjustable Ring by RavynEdge. 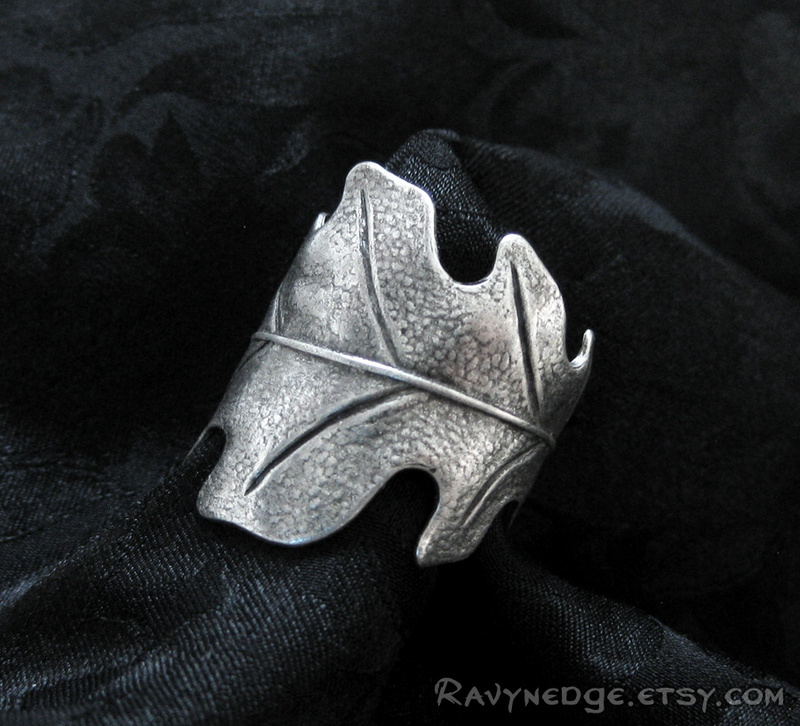 A distinctive oak leaf stamping was hand formed by me to caress your finger. 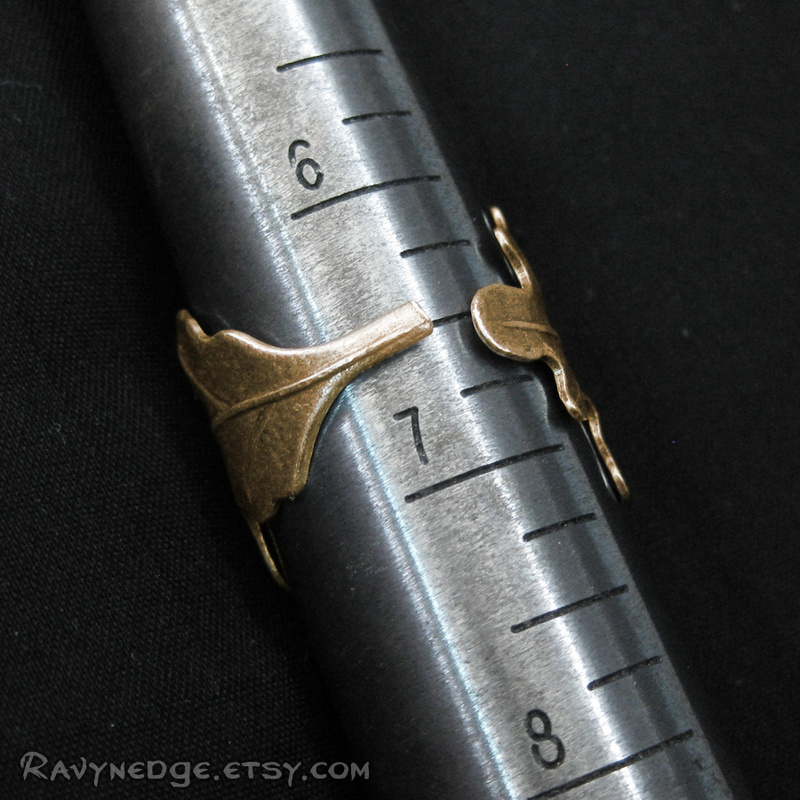 Made with a quality brass stamping created from vintage tooling. 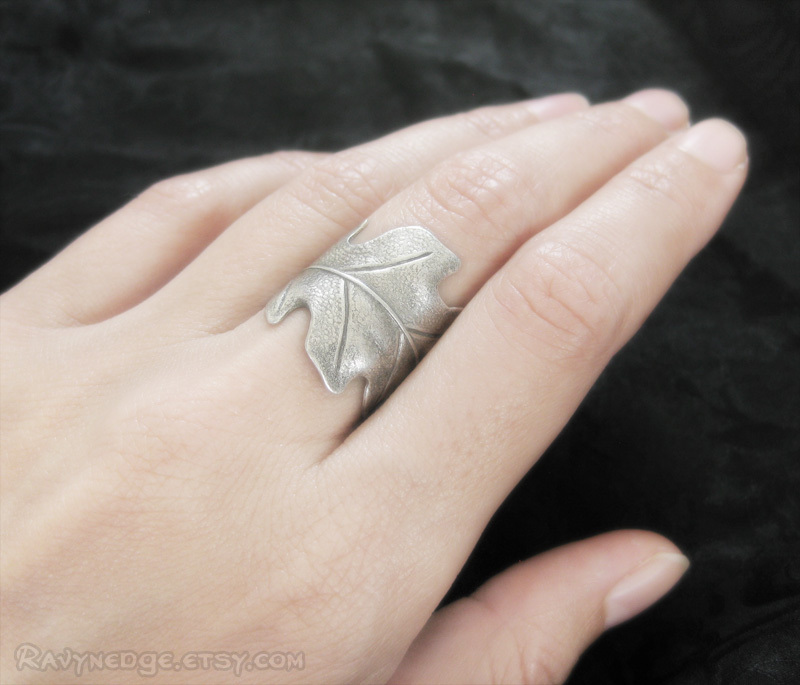 The metal is brass, sterling silver plated brass, or copper plated brass, nickel-free and lead-free, oxidized to bring out the amazing details. Adjustable up to a size 8. 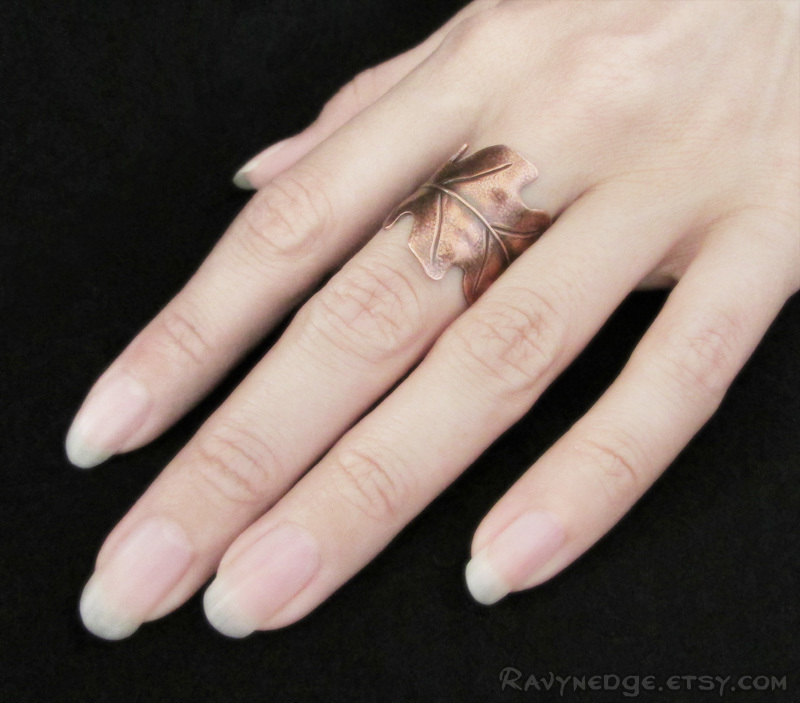 Can fit larger sizes, but the gap under the finger may be too wide.